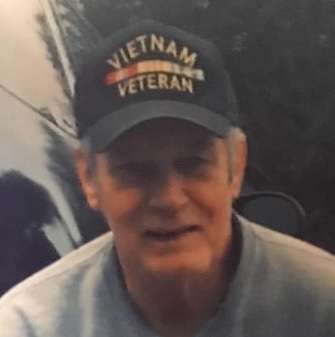 Frank David Baker, 69, of Thomasville passed away Wednesday, September 12, 2018 at the Veteran’s Home in Statesville. Born on December 7, 1948 in Dillon, SC, he was the son of the late Walter Lee Baker and Marjorie Simpson Baker. A veteran of the US Army, Frank served for two years in Vietnam as a helicopter pilot. He graduated from Thomasville High School. He worked as a truck driver and mechanic and was of the Baptist faith. Those left to cherish his memory are his son, David Lee Baker of Thomasville; daughter, Janie Lynn Baker of Thomasville; sister, Deloris Griffin of Pennsylvania; granddaughter, Isabel Jewel Baker of Thomasville. Graveside Service: 11:00 AM Wednesday, September 19, 2018 at Salisbury National Cemetery, 501 Statesville Blvd., Salisbury, NC 28144. The family would like to extend a special thank you to everyone at the Veteran’s Home in Statesville and Hospice for all of the love and care they showed Frank while he was there.